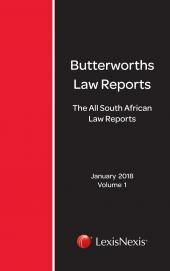 Published monthly the All South African Law Reports publishes civil and criminal cases and precedent-setting judgments to facilitate legal research. The reports are fully indexed comprising annotations and table of statutes. 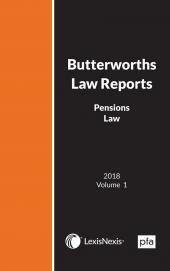 The case treatment feature clearly illustrates how judgments are dealt with in the cases published, whether they are referred to, applied, compared, discussed or distinguished. The history feature includes the details of court a quodecisions previously published in the All South African Law Reports. Based on the internationally successful All England Law Reports, it offers a first-rate reporting service in terms of judgment selection, topicality, speed and presentation. 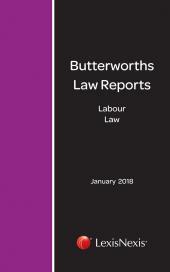 The reports enable you to stay abreast of legal developments so that you can provide accurate advice to your clients and ensure that your research is up to date, accurate and dependable maintaining your credibility and good reputation. The cases from 1996 to date are available in print, online and intranet format. The entire series from 1947 to date is available only in online and intranet format. Leading cases from the Supreme Court of Appeal of South Africa and Provincial and Local Divisions of the High Court of South Africa.